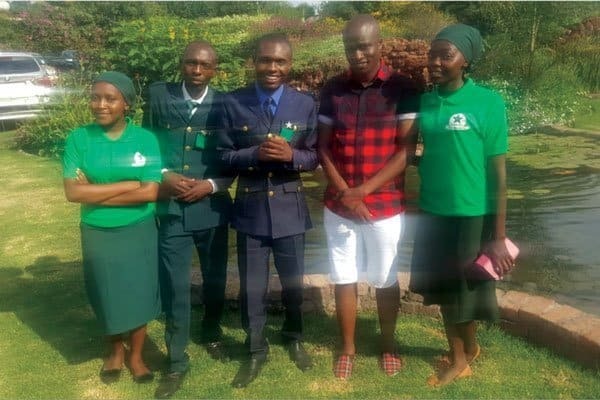 Chegutu-based Sungura musician, Obert Chari has made it crystal clear that he is a man on a mission to spread Zion Christian Church (ZCC) doctrine to people in bars and night clubs through his music. Chari, who was speaking on the sidelines of his joint show with Sulumani Chimbetu at Extra Mile yesterday, was responding to a question on whether ZCC doctrine allows the singer to be perform in night clubs. “Our religion or church is very flexible, we have a theme called Jorodhani Drive where one is sent into the world to preach to people who are not aware of ZCC. So, what I am doing now is part of that mission, I have to get in all places be it night clubs or bars preaching about Zion,” he said. The “Mebo” hitmaker will be releasing another album next year and reckoned the need to make his songs a bit shorter. “I will be releasing another album in 2020 and people should expect major changes. On my last album, I noticed that there was a section of people who felt my song were too long, so this time I’m gonna try and make them shorter,” said Chari. The singer rose to prominence last year with his 13 minutes long hit-song, “Mebo” which made it into the top five on Radio Zimbabwe’s Top 100.